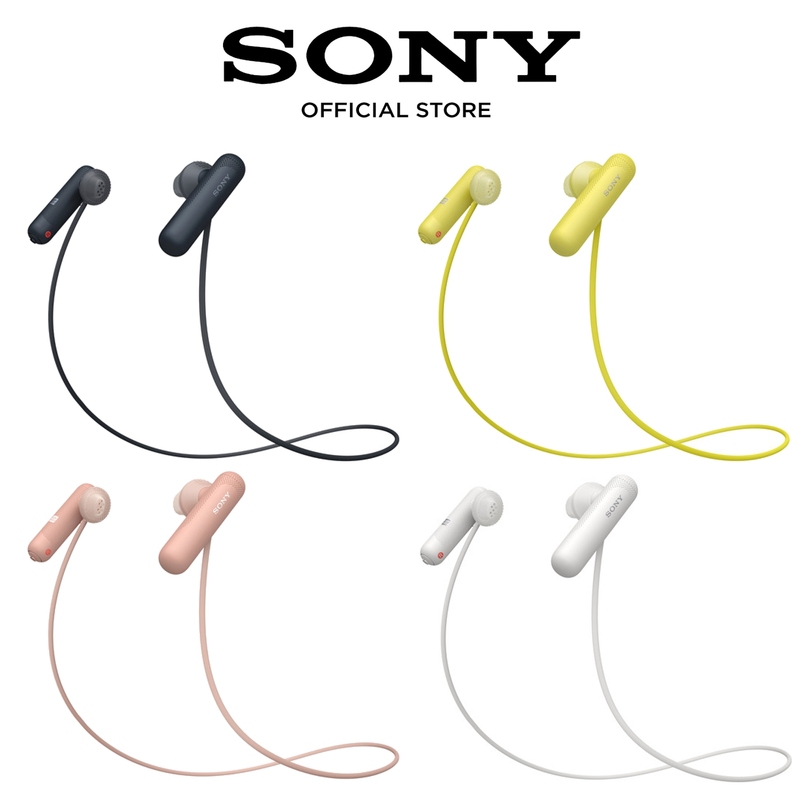 Sony WI-SP500 are wireless in-ear sports headphones designed to deliver extended listening time and lifestyle convenience for athletes, music lovers, and audio aficionados exercising, traveling, or studying inside or outdoors. The behind-the-neck design won't interfere with comfort or ease of use and IPX4 waterproof rating means that perspiration and precipitation are of no concern. Bluetooth version 4.2 and NFC technology grant simple and effective wireless integration with your mobile device. The 13.5mm dynamic drivers utilize neodymium magnets and produce a wide frequency response of 20 Hz to 20 kHz. A built-in rechargeable battery affords up to eight hours of listening time or up to 200 hours of standby time via a full charge. Thanks to the earpiece's integrated microphone and buttons, you can take calls and control playback without accessing your smartphone. The WI-SP500 headphones include multiple eartips, a micro-USB charging cable, and a carrying holder. 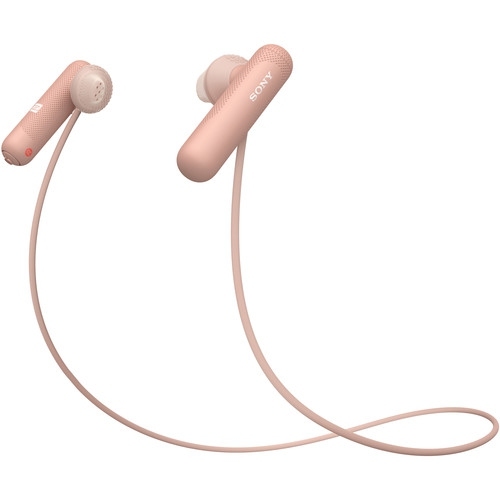 With an IPX4 rating, the headphones can handle sweat or splashes from rain when you're working out or traveling. Exercise without wires holding you back. A lightweight design makes these wireless sports headphones comfortable, secure, and discreet to wear whether you're training or out and about. Stay aware of your environment while working out. Open-type drivers allow you to hear ambient sound along with your music, so you can still hear what's going on around you, which is ideal for outdoor workouts and runs where you need to stay alert while still enjoying your music. Fully charged, the headphones give you up to eight hours of music playback. Up to 200 hours of standby time allows longer gaps between charges.